Going through life with your nose pressed up against the glass might be one way to see the world and it might even be safe but how does it differ from watching life unfold from in front of a tv screen? Both give you a buffer zone between you and the world’s events. Or maybe looking through the window simply brings the world closer to you. 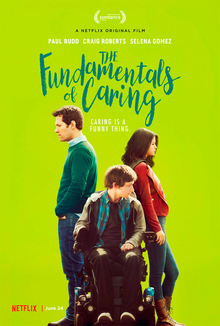 In the Netflix original film “The Fundamentals of Caring”, the caregiver challenges his charge to go out to speak to a hitchhiking woman. He tells him if he doesn’t and instead watches the caregiver do it from the safety of the window, it would be no different from watching the action on television. …And then it happened. In 2014, people began to leave the safety of the homes and take to the streets in protest. The rallying cry was injustice and it was 13 years overdue. Every year, thereafter, the marches attracted more and more crowds. Soon everyone will be in the streets. The only way to control the masses will be to scare them back behind glass. Gil Scott Heron sang “The Revolution will not be Televised.” 47 years later, his prophetic vision is not one bit hazy. And no one’s home to watch it. They’re in the streets.